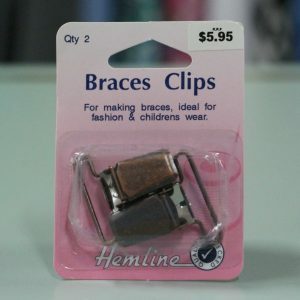 Braces Clip: Bronze 30mm. 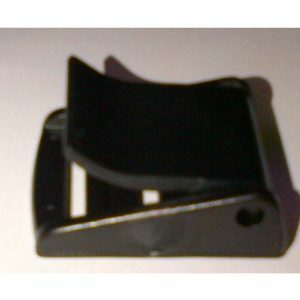 End attachments for making braces. Ideal for fashion and children’s wear. 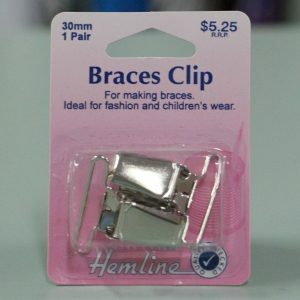 Braces Clip: Nickel 30mm. End attachments for making braces. Ideal for fashion and children’s wear. 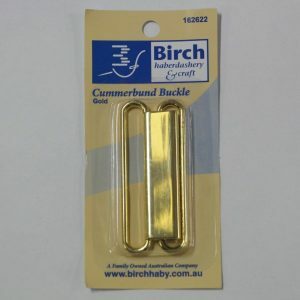 Cummerbund Buckle: Gold. For attaching sashes on formal wear and tuxedos. Also suitable for wider elasticated belts. 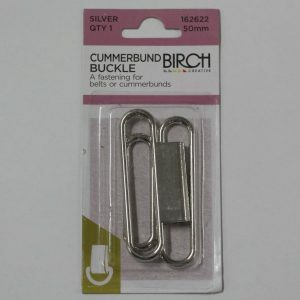 Vest/Waistcoat Buckles: Nickel 20mm 2pcs. 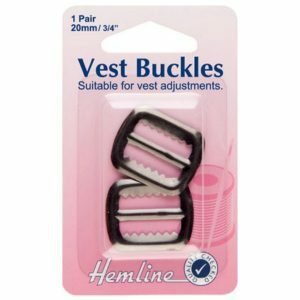 Use to adjust the tension of back straps on vests and waistcoats. Vest/Waistcoat Buckles: Gunmetal 20mm 2pcs. Use to adjust the tension of back straps on vests and waistcoats. 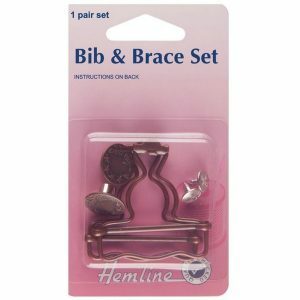 Bib And Brace Set: Bronze – 40mm. For aprons, overalls and workwear. 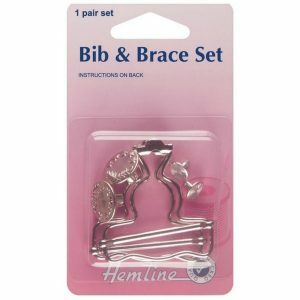 Bib And Brace Set: Nickel – 40mm. For aprons, overalls and workwear.